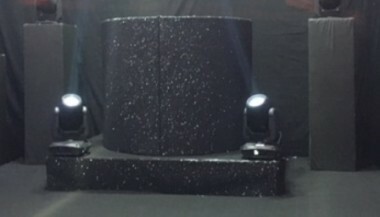 Glitter Curved DJ Booth add our Glitter DJ booth & add a touch of real class to your occasion. It is supplied with a Curved Shelf and will hide all cables and equipment making this a must for that very special night. Ideal for Weddings, Barmitvahs and in store events.